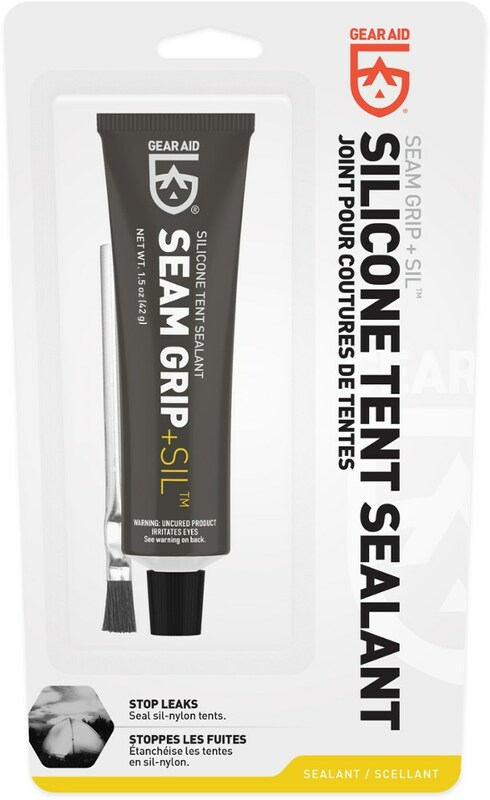 Make your gear waterproof again with Tent Sure polyurethane coating for tents and outdoor fabrics. 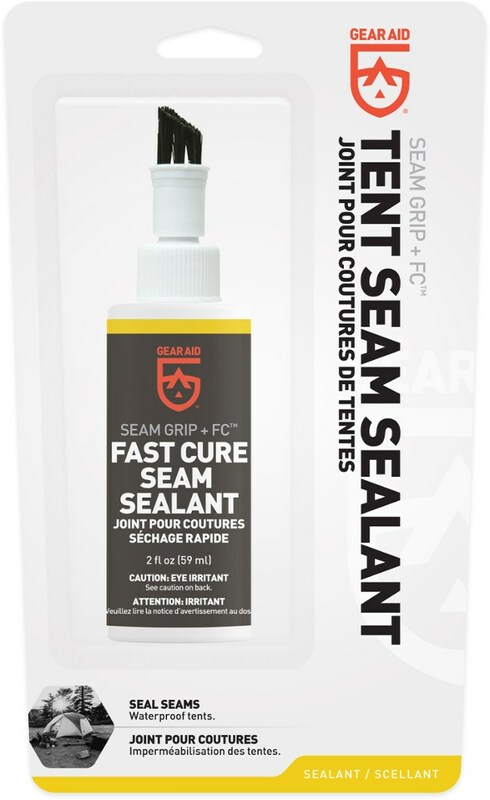 This high-performance formula makes it easy to coat worn areas for longer life and water resistance. Last time it rained when you were camping, you woke up to water dripping on your face as it leaked through your heavily used tent's fabric. Make sure you don't have to go through that again by treating your tent with Gear Aid Tent Sure. 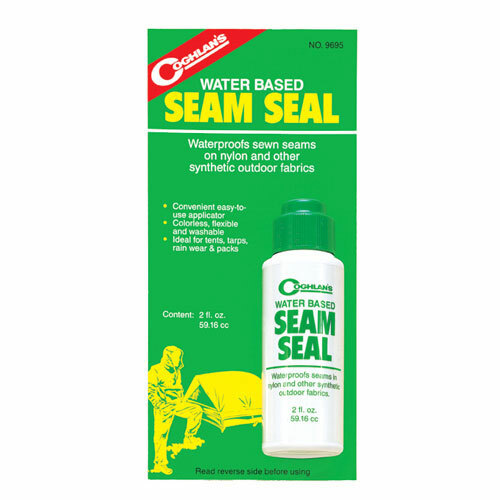 This clear, flexible waterproofing beefs up the waterproofing ability of tents, tarps, stuff sacks, awnings, and even boat covers. 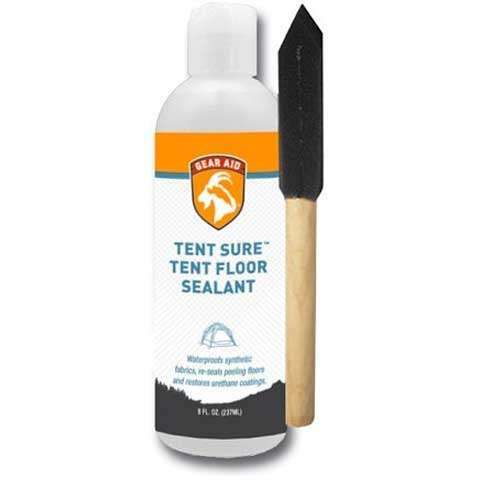 Stop the rain from penetrating with Gear Aids Tent Sure Tent Sealant. 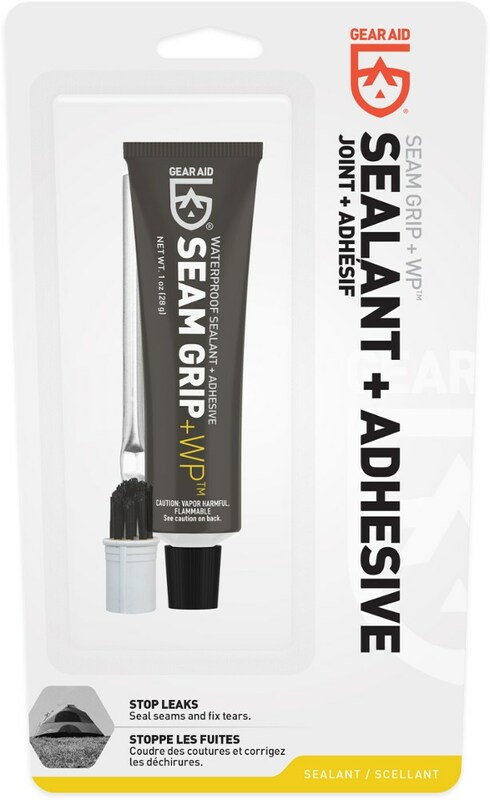 This clear polyurethane coating in a can waterproofs up to 85 sq. ft. of outdoor fabrics to prolong their life and keep you dry. 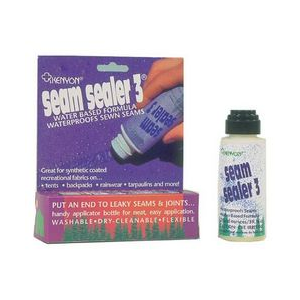 Non-toxic, water-based formula works on tent floors and flies, backpacks, boat covers, rain gear and more. Flexible and long lasting. Includes a foam applicator brush. Made in USA. Size: 4 oz. Cancer and Reproductive Harm- www.P65Warnings.ca.gov. Color: Clear. Type: Tent Accessories.